Analysis: Lewis joined the Packers in the midst of the offseason program last May and proceeded to play a bit role in the offense. The majority of his 11.9 snaps per game were spent as a blocker, with minimal impact (three catches for 39 yards on four targets) as a pass catcher. The Packers could still address their tight-end ranks through the draft and/or free agency, but Lewis tentatively slots back in as the No. 2 option behind Jimmy Graham. Analysis: Lewis scored the second-most touchdowns of his career when he found pay dirt five times in 2017, but he did almost nothing in his first season with the Packers. A return to Green Bay in 2019 should not be ruled out for the veteran, but given his 2018 role and a new coaching staff on the way, it seems unlikely. Analysis: The 11 snaps were the second most among Packers tight ends, but that did not lead to any passes thrown his direction. Lewis still sits with just three receptions for 39 yards over 14 games this season. Analysis: Lewis played twice as many snaps as he did in Week 14, but he failed to catch a pass for the third time in four weeks, and was not targeted for the ninth time in 13 games this season. Analysis: Lewis set a season high with 23 snaps Week 12, but he was back picking up the scraps just one week later, and for the ninth time in 12 games this season, did not tally a reception. Analysis: Lewis started and led all Packers tight ends in snaps with Jimmy Graham limited by a broken thumb, but the extra opportunities did nothing for his fantasy output. The 34-year-old should continue to benefit from an expanded role until Graham gets back to 100 percent -- which isn't a lock with just five games to go. Even so, with just three receptions for 39 yards on the season, it's going to take quite a leap of faith to include Lewis in fantasy lineups. Lewis played 10 snaps in Thursday's 27-24 loss to the Seahawks but didn't draw any targets. Analysis: Lewis caught a pass in both of the previous two games but was shut out in the box score in Week 11. While the 34-year-old has worked as the Packers' third tight end all season, his role could grow if the thumb injury that fellow tight end Jimmy Graham suffered Thursday forces an absence. Lance Kendricks would be first in line to replace Graham in the starting lineup in such a scenario, while Lewis would likely serve as Kendricks' top understudy. 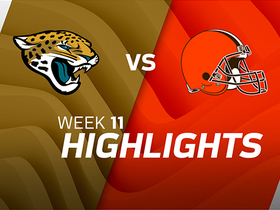 Lewis caught one pass for 30 yards in Sunday's victory over the Dolphins. 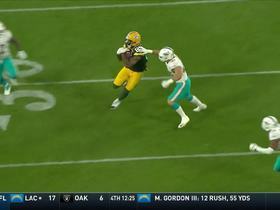 Analysis: Lewis notched his first big play of the season Week 10, but he still finished third among Packers tight ends with 10 offensive snaps. He's averaging 12 such snaps per game this season and continues to be relied upon mainly for his blocking prowess. Lewis caught one pass for five yards in Sunday's loss to the Patriots. Analysis: Lewis caught his first pass of the season Sunday, but he also tied a season-low with just seven offensive snaps. 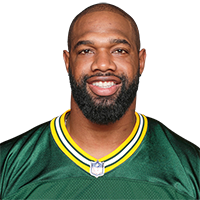 He has been a depth player for the Packers all season and simply isn't seeing the field enough to help fantasy players. 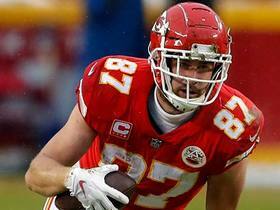 Green Bay Packers tight end Marcedes Lewis joins "NFL Total Access" and says that there is "No question" Kansas City Chiefs tight end Travis Kelce is NFL's best tight end. 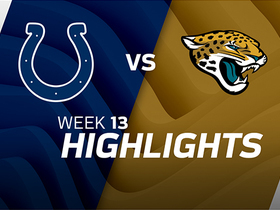 Green Bay Packers tight end Marcedes Lewis and NFL Network's Maurice Jones Drew take a trip down memory lane in a flashback friday. 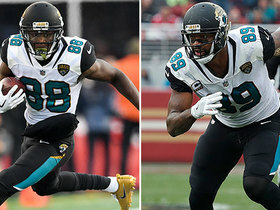 NFL Network's Mike Garafolo explains the Jacksonville Jaguars decision to cut wide receiver Allen Hurns and tight end Marcedes Lewis. 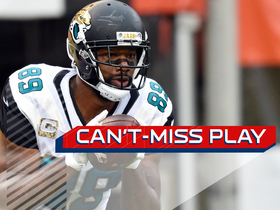 Jacksonville Jaguars quarterback Blakle Bortles fires strike over the middle to Marcedes Lewis for 11 yards. 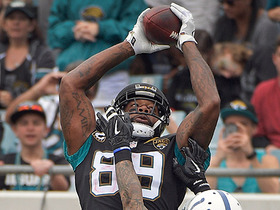 Jacksonville Jaguars quarterback Blake Bortles floats a pass to tight end Marcedes Lewis for 22 yards. 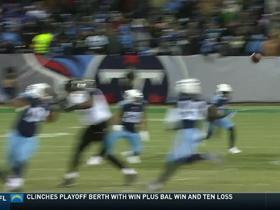 Jacksonville Jaguars tight end Marcedes Lewis completely out-jumps a defender for this two-point conversion catch. 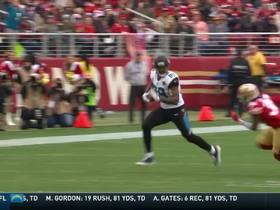 Jacksonville Jaguars QB Blake Bortles fakes the hand-off and turns to find tight end Marcedes Lewis for the 10-yard touchdown.